Elias from the USA has very generously contributed this brochure to our clubs historic archives. Elias was for some 22 years a member in the NSW Buick Club’s more formative years. 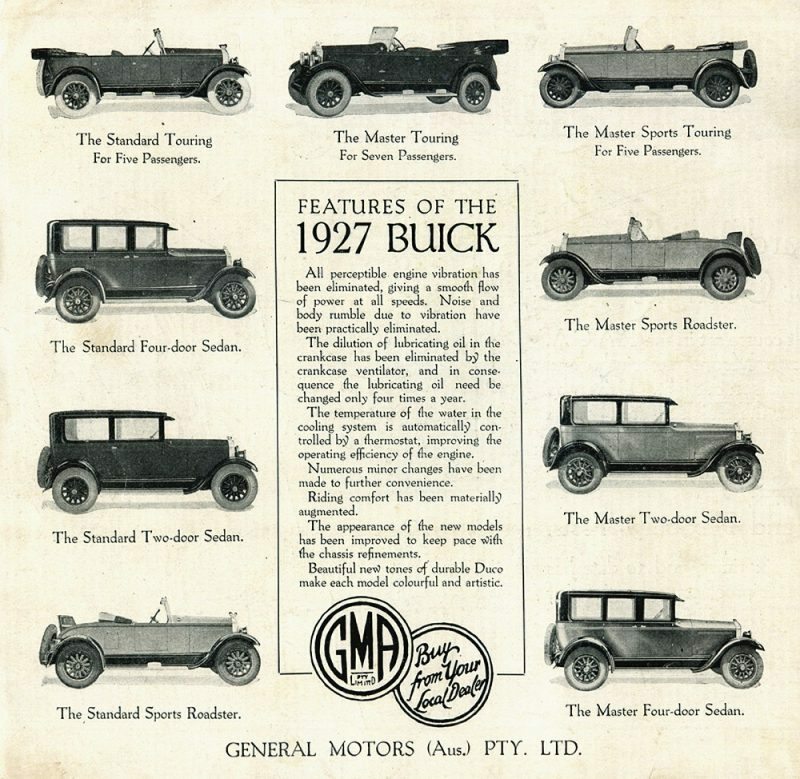 He had owned a 1927 Holden bodied Buick he originally sourced from Queensland and now believes this brochure should be returned to it’s country of origin. We are very grateful, thank you Elias. 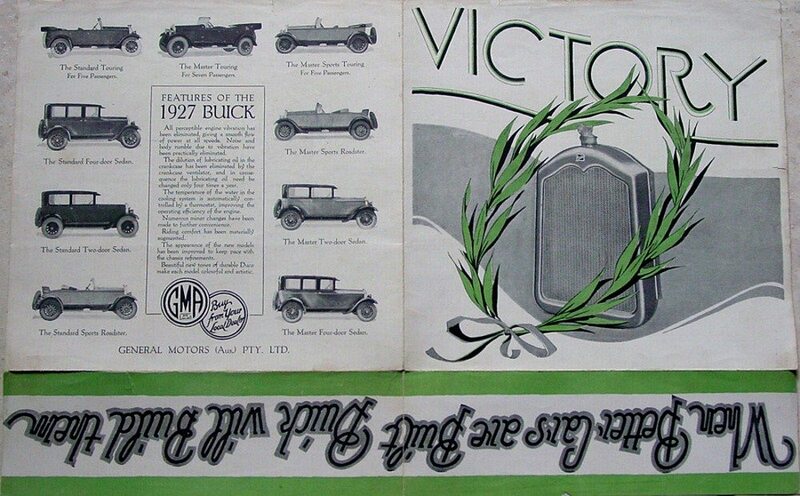 The brochure was published by GMA for dealer and other promotional use following Mr R.C. 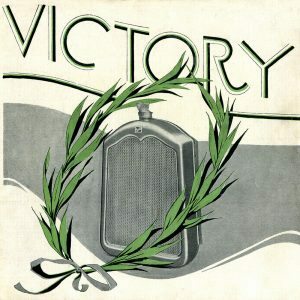 Nelson’s outright win in the prestigious R.A.C.A. 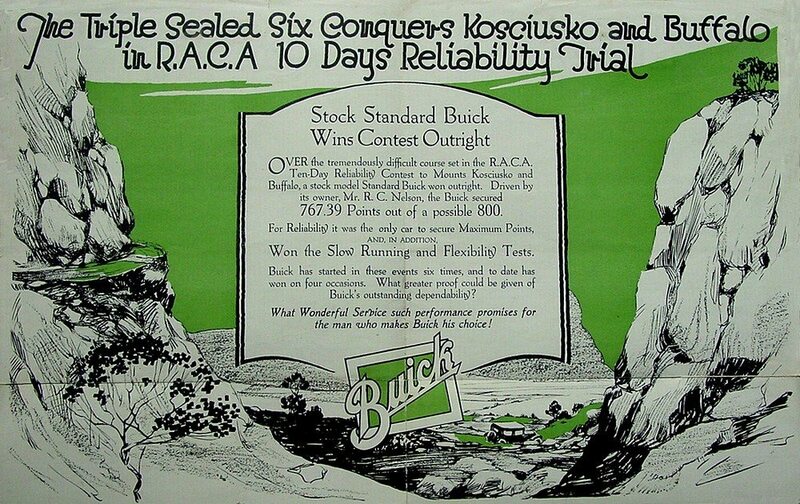 10 day Reliability Trial through the Australian Alps in 1927. 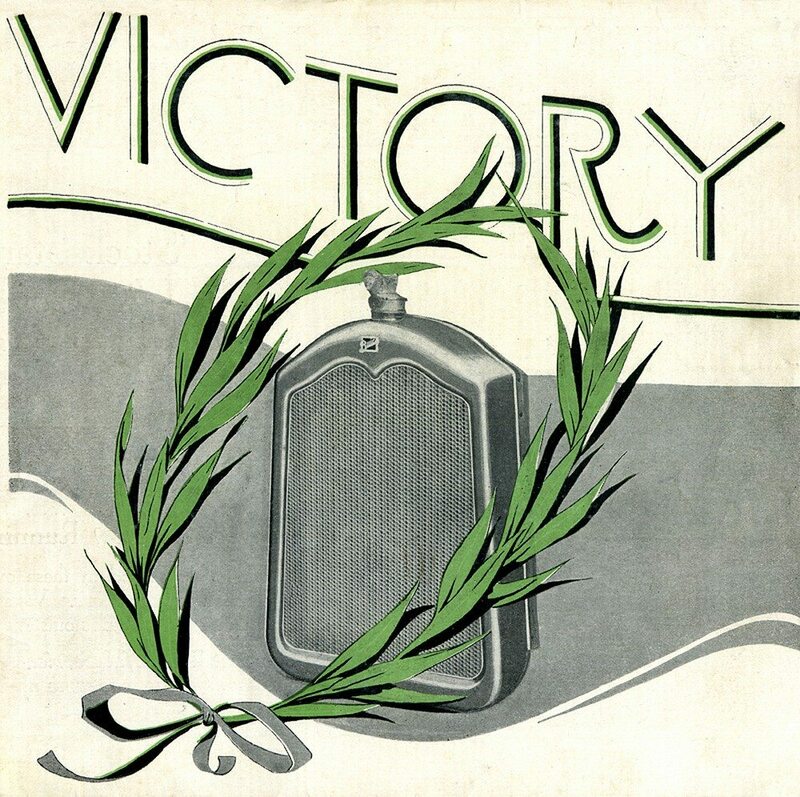 The brochure is two colour, double sided, A3 size, presented with two folds and is in remarkable condition for it’s age.